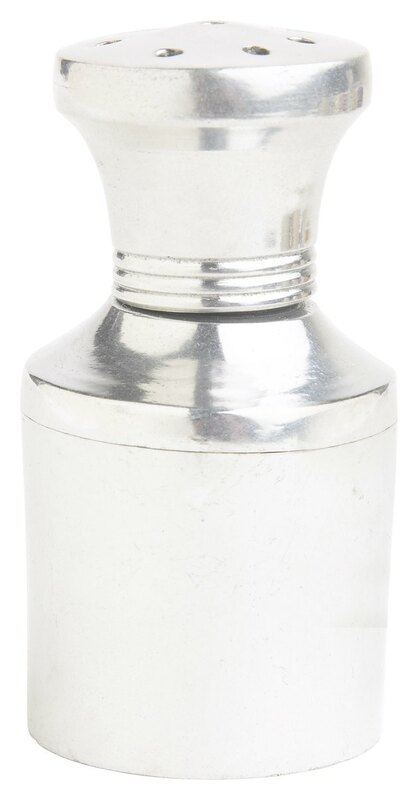 Silver salt shakers make an elegant addition to any table. However, salt can be very damaging to silver. These require special care to ensure that they remain in excellent condition and can one day become a family heirloom. Silver salt shakers require some extra care when cleaning. Empty the salt out of the silver salt shaker. Place a rubber sink mat in the bottom of the sink if there is not one already there. Wash the salt shaker in the sink with a mild dish liquid. Use one that does not contain lemon because acid is harmful to silver. Towel dry and store in a low-humidity area. Apply a low-abrasive silver cleaner If the silver has tarnish. Follow package instructions for the proper procedure. Stay clear of heavy silver cleaners that can scratch and ruin the piece. A low-abrasive product will usually say to rinse off after use. Submerge the salt shaker in ammonia in a covered container if the piece is crusty due to salt corrosion. Check it in about 10 minutes. If the corrosion is not gone, allow another 10 minutes. Do not go more than 30 minutes. Sometimes the corrosion will be beyond repair. It might be necessary to have the piece refinished. Clean the silver with a low-abrasive cleaner and polish to restore the luster of the silver salt shaker.